Mason jar Christmas gifts are a great idea for just about anyone on your shopping list when you want a gift that is fun, frugal, and heartfelt! Gift Mason jars are great for any occasion, in fact, there are even Mason jar birthday gifts that are super adorable! DIY Mason jar gifts are also perfect for anyone (and I do mean anyone) on your shopping list from your mother-in-law to that coworker you don’t even know but were lucky enough to get in the office secret Santa. Trust me. 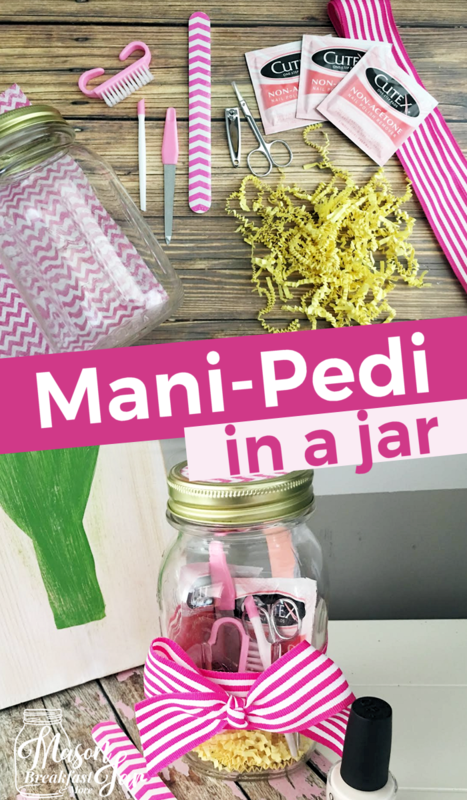 There are many, many Mason jar DIY craft gifts to choose from including tasty edibles like cookies to spa quality gift Mason jars, which brings me to the topic of this Mason jar Christmas gifts post: mani pedis in a jar. 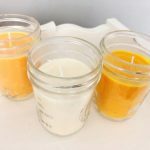 One of the things I really love about this DIY Mason jar gift is the fact that it is so perfect for so many women. Seriously, any woman that could use a day at the spa will probably appreciate this frugal opportunity to pamper herself. See, this Mason jar Christmas gift is so much more than nail polish. It’s the gift of relaxation. Tip: If you’re close to the recipient of this gift Mason jar (ex. your sister), consider including a coupon for a free day of babysitting. 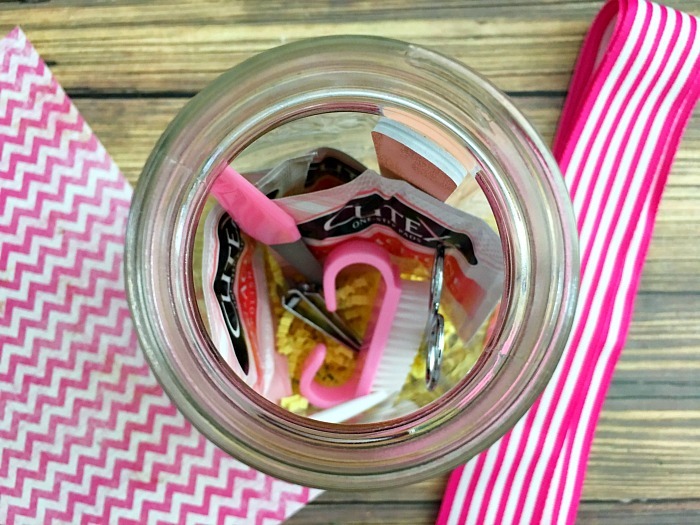 That way she can kick back and truly indulge in this Mason jar DIY craft gift without having to worry about the havoc the kiddos are causing. 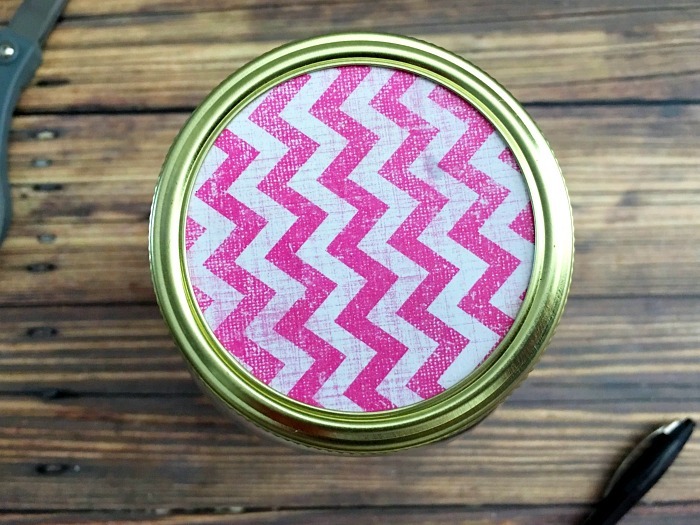 You can even make this DIY Mason jar gift for multiple women. In fact, doing so may save you additional money as you might be able buy some supplies in bulk. 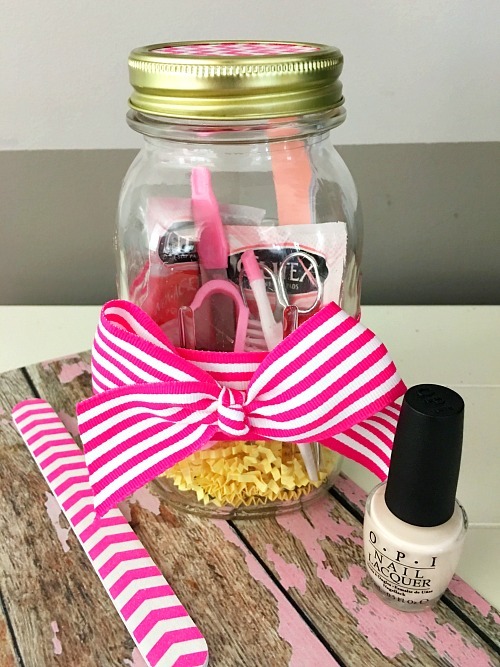 Simply tailor this Mason jar Christmas gift to the recipient by using different shades of nail polish and maybe different colors of paper and ribbon. 1. Place a couple of handfuls of crinkled paper in the bottom of the Mason jar. 2. 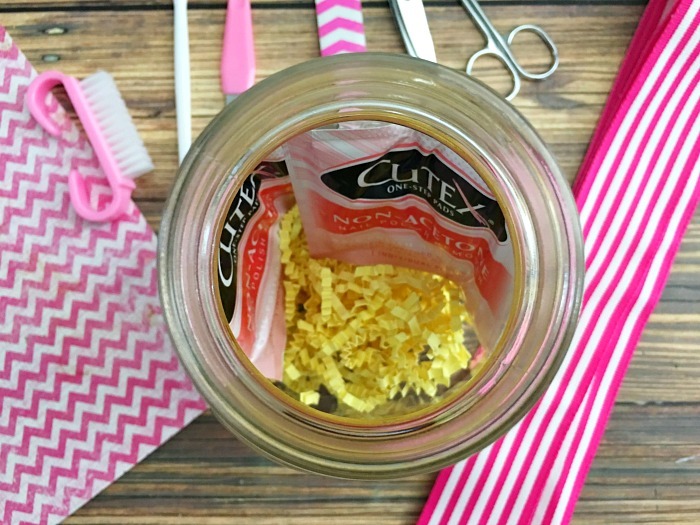 If including nail polish remover wipes in this DIY Mason jar gift, add them first since they are one of the largest items. 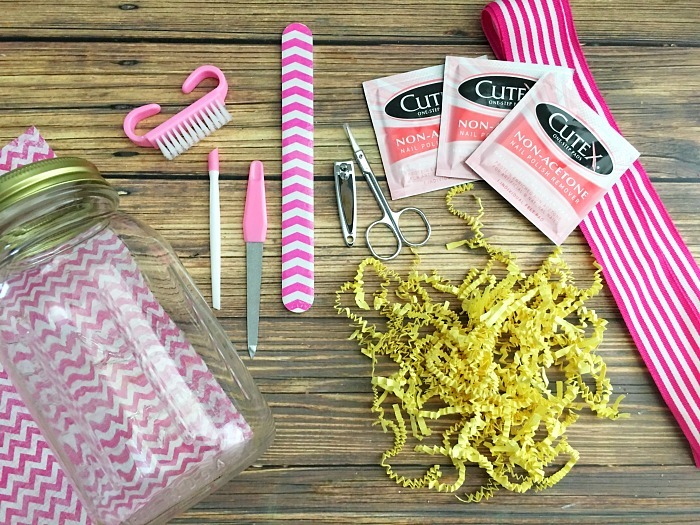 Tip: To conserve room for your other items, press the nail polish remover wipes against the back of the Mason jar. 3. 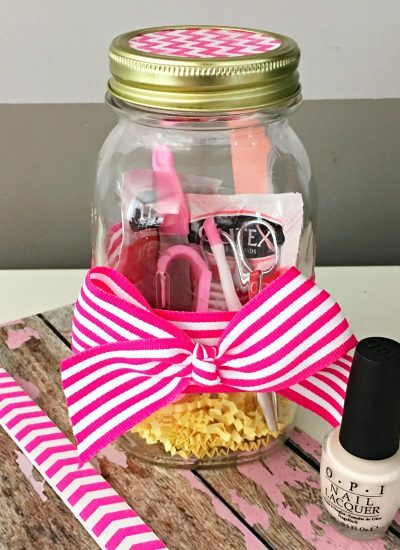 Add smaller items, except nail polish bottles, to the gift Mason jar one at at time so your jar doesn’t look messy. 4. Add the nail polish, pushing the bottles to the front of the Mason jar so they are clearly visible. 5. 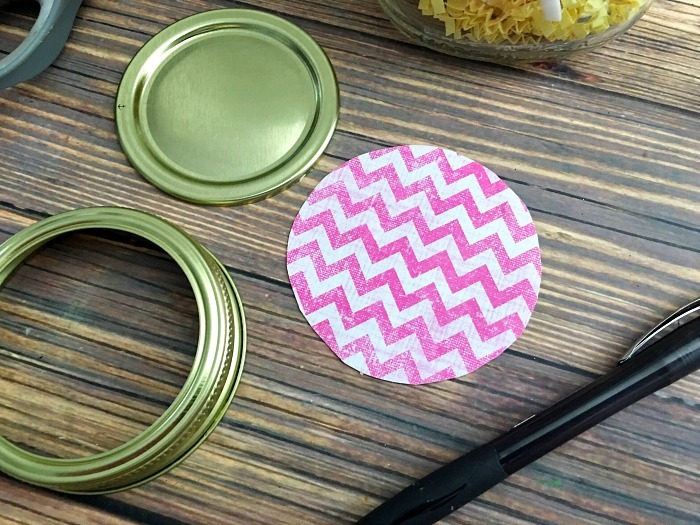 Place the small circle part of the Mason jar lid on a piece of scrapbook paper, trace it and cut it out. 6. 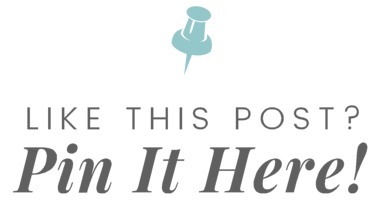 Place the paper circle on top of the Mason jar lid and twist the top over your lid. 7. Glue a piece of ribbon over the center of the Mason jar Christmas gift. 8. 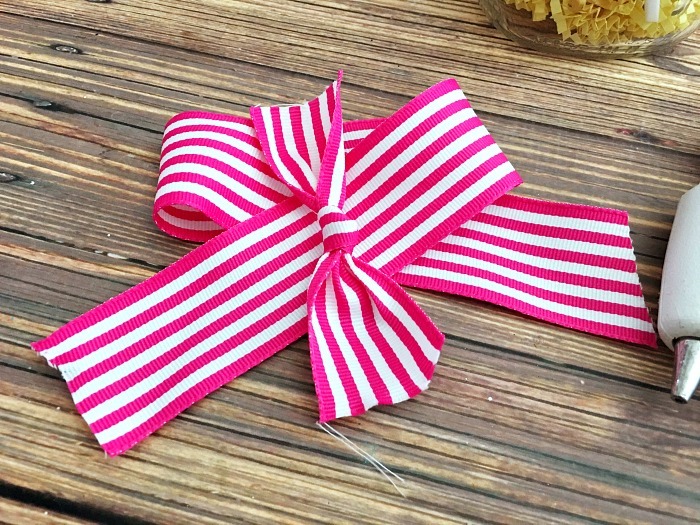 Fold a 12″ piece of ribbon into a bow (see picture), making a loop with each side. 9. 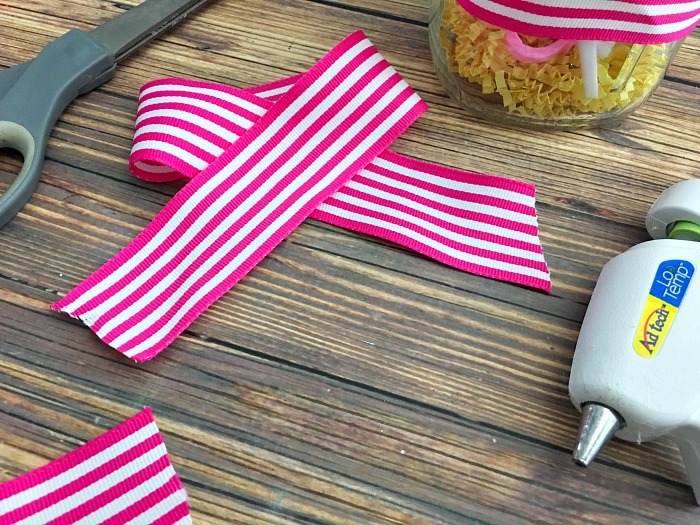 Cut a 6″ piece of ribbon, tie the center into a knot, lay the knot over the center of your bow, and tie tightly in the back. 10. Hot glue the bow to the front of the Mason jar. While I’m touting this as a Mason jar Christmas gift, I also think it would be a pretty awesome Mason jar birthday gift…what do you think?